There’s something about Ireland ~ a magic held in this place where a different rule of time applies. Where doing things slowly is better than doing them fast. Where tall stories and truth blend seamlessly. Where awakening the muse unfolds gently ~ coaxed into being by the landscape, the people, the stories, and song. Each day we guide you further along the journey of writing your memoir ~ whether you are just beginning or putting on the finishing touches, ready to publish. From morning meditation and yoga, walks over untamed, wild landscape, exploring ancient ruins to quiet writing time and individual tutoring sessions, Memoir Tours supports your every step. Together we share laughter and stories over table-filled feasts, fireside conversation, song and celebration. We pay special attention to support the flow of quiet reflection, writing time and engagement. 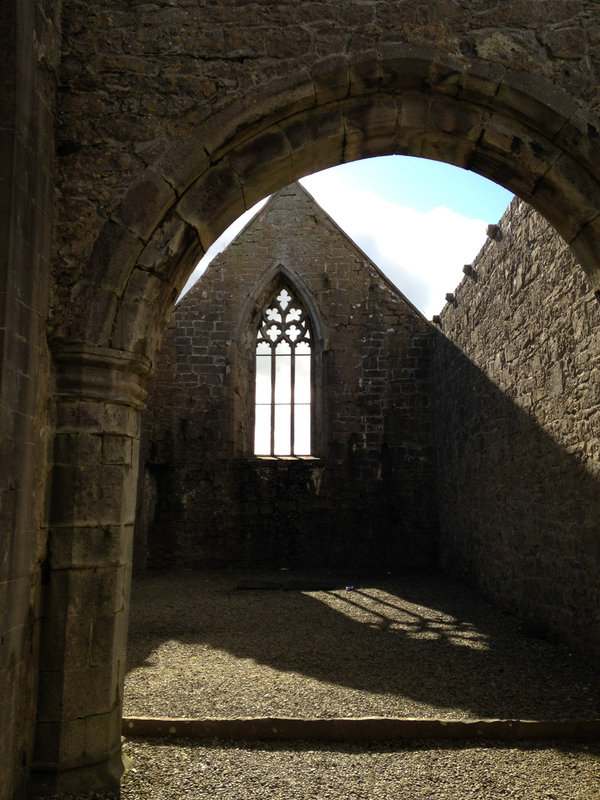 Rosserk Abbey: One of the finest and best-preserved Franciscan friaries in Ireland. Located on the banks of the River Moy, Rosserk Abbey commands a presence, centuries after construction of its arched thresholds. Stone-carved angels lift your spirit while exploring the stone stair and passageways. One of our favorite sites to move heart and soul. Cong: home to Ashford Castle—built by the Guinness family—and setting for the acclaimed movie, The Quiet Man, Cong sits on the borders of Counties Mayo and Galway, and is surrounded by water and waterways. Small wonder it’s a tourist destination—quaint, quiet, picturesque, rich with history and eye-pleasing sights. Follow your nose to Rare and Recent Books~ a book lover’s delight and then make your way to The Hungry Monk. 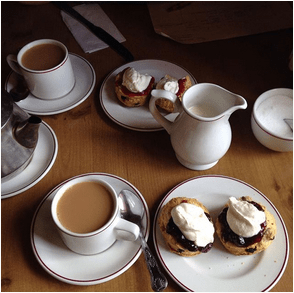 Tea & Scones anyone?! Ross Beach: a Blue Flag beach, this is where we catch the freshest breezes off the Atlantic, our footprints are often the only ones we see. A perfect place to clear the inner cobwebs before putting pen to paper, Ross Beach is our go-to morning walk. Downpatrick Head: a few miles north of Ballycastle in County Mayo is the dramatic and historically significant limestone outcropping, just offshore on a remote section of the Wild Atlantic Way. 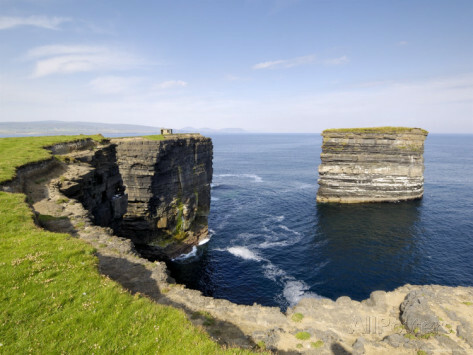 Downpatrick Head ranks high on the top ten list of “must see” places to visit in Ireland. Imagine taking in the breathtaking views as we listen to our guide, Denis, bring alive the history and legends of St. Patrick’s influence here. 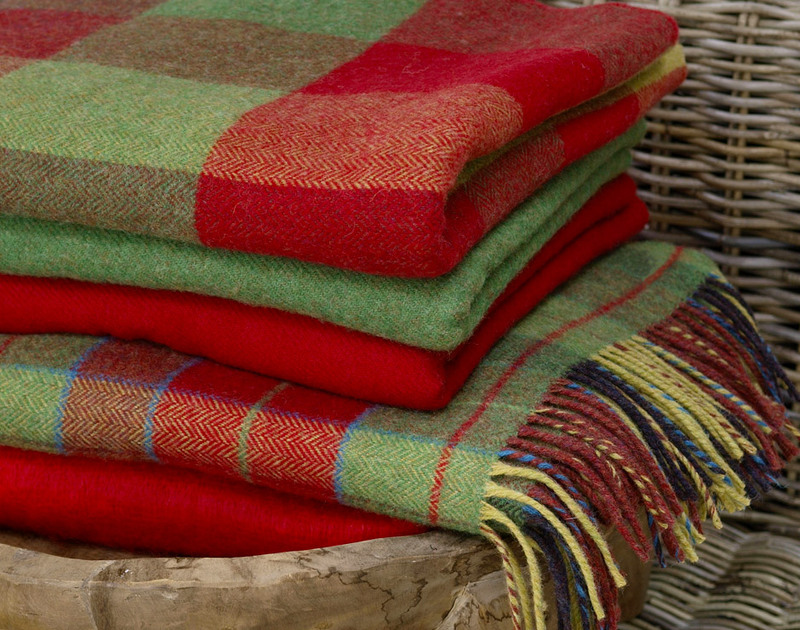 Foxford Woollen Mills: Truth to tell, this is one of our favorite places to take you. 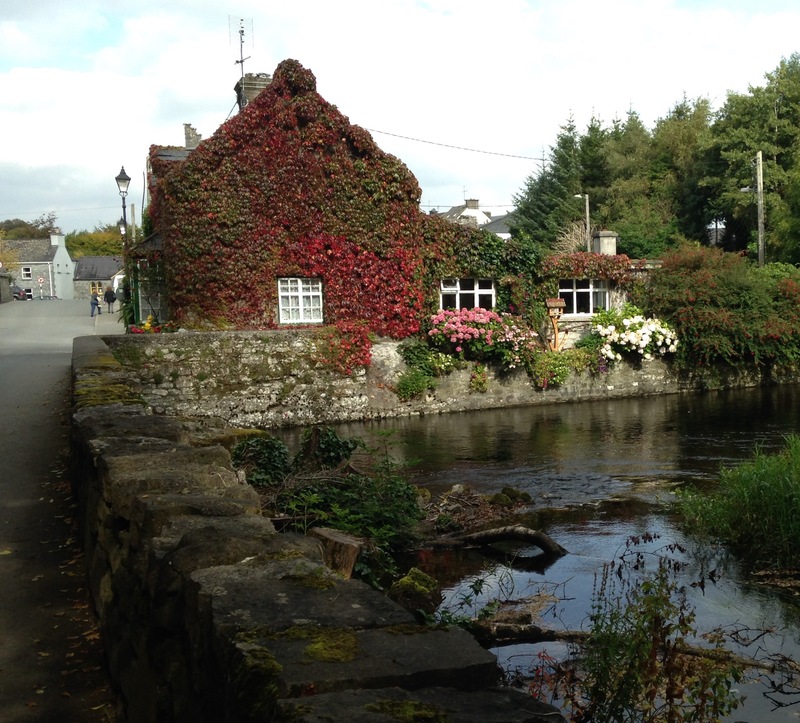 With a rich history as vibrant as its woolen blankets, sweaters, and scarves, Foxford offers the ultimate Irish shopping stop. The fresh-baked goods and a cup of tea in their café fuel the experience to near blissful. 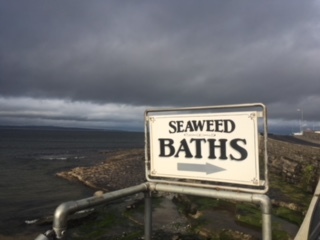 Kilcullen’s Seaweed Baths: After a long stretch of writing, a soothing seaweed bath will take the kinks out of your shoulders and neck, relax you, revive you and inspire you to write about things you’ve always wondered about, but have yet to experience. End of story. Stay in a cluster of lovely cottages on the shore of Killala Bay in County Mayo. Each cottage holds four to six people ~ write in front of a peat fire in a spacious living room or cozy up at your writing desk. All cottages include a kitchen and laundry facilities. Rooms are shared with one other person, with a limited number of single rooms available for an additional fee. Pantries and refrigerators are well stocked for breakfasts. A total of ten other meals are provided, either lunch or dinner each day. Enjoy locally catered feasts and a variety of picnic lunches. You’re in for a treat! Check out our blog to learn more. Be prepared to buy one meal per day, budgeting approximately 15 Euros for lunch or 25 Euros for dinner. Plus a bit more depending on your fondness for Guinness. In booking your flights please be certain that you or your travel agent follow the guidelines for arrival and departure days and times. Contact us with questions regarding your travel details. Please DO NOT BUY YOUR AIRFARE until we confirm with you that the spaces have been sold and the retreat is officially on. 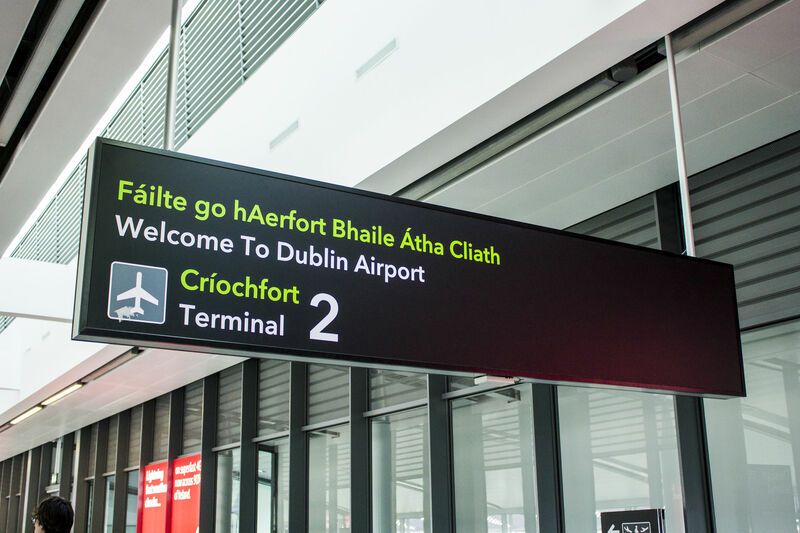 Arrival: Book your flight into Dublin airport. We recommend you arrive in Dublin on September 23rd, stay the night in Dublin and then make your way to Ballina, Co. Mayo on the train leaving Heuston Station, the morning of September 24th. We will assist you in booking your train ticket, letting you know what train to book and send you an online link for convenient ticket purchase. We will collect you at the Ballina train station at your scheduled arrival time. You may wish to fly in earlier for a longer Dublin experience; to enjoy the city and recover from jet-lag. Some folks add on a few extra days in Dublin before flying home. We’re happy to offer suggestions for your Dublin stay. Departure: We will transport you to the Ballina train station on the morning of October 4th arriving in Dublin’s Heuston Station in the early afternoon. If you are flying out of Dublin on October 4th, do not book a flight in the morning or early afternoon. You will need to plan transportation via bus or taxi from the train station to Dublin airport. Late afternoon & evening flights only. The total cost of the Memoir Tours: Ireland is $3750.00. Second installment payment of $1000.00 is due July 1st. Subsequent payments of $1000.00 are due August 1st and September 1st. If you prefer to pay by check or to discuss an alternate payment schedule please contact us. In the event you cancel your Retour application before July 15th, we retain 10% of tour cost ($375.00). Should you cancel after August 1st, any refund will depend upon our finding a replacement for your spot. Either way, we will retain 10% of the tour cost. Note: all costs assume the Euro does not rise above 1.3. If this does occur there would be a small supplemental charge. Your payment covers Barbara and Craig’s services as facilitators and guides. Two private tutoring sessions with our guest authors. All accommodations for the nights of September 24th – October 3rd. Ten meals (comprised of lunches and dinners). 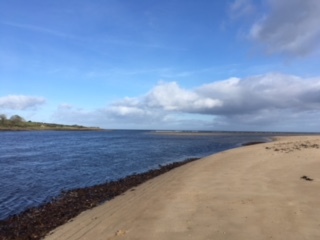 All transport in-country during the trip, pick up at Ballina train station on September 24th and return to Ballina train station on October 4th. Not included: Airfare. One of your main meals per day. Tips. Any additional transportation costs if your flight is scheduled outside the Memoir Tours time parameters. To register for Memoir Tours: Ireland please fill out the form found on the REGISTER! page.